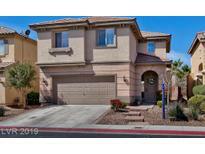 Below you can view all the homes for sale in the Ravenna At Aliante subdivision located in North Las Vegas Nevada. 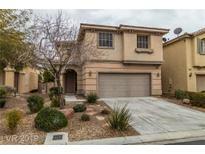 Listings in Ravenna At Aliante are updated daily from data we receive from the Las Vegas multiple listing service. To learn more about any of these homes or to receive custom notifications when a new property is listed for sale in Ravenna At Aliante, give us a call at 702-323-5963. This home offers plenty of natural light, new interior paint and hardwood floor upgrade new appliances and island, Den/office downstairs with bath, Fireplace in the family room, master bathroom remodel few months ago, Easy to maintain desert landscape front and spacious backyard with covered patio in the back, house is super clean & move in ready. MLS#2087253. United Realty Group. Soaring Shuttered Windows Lead Up To An Open Loft, 2 Bedrooms, Bathroom,Laundry Room & Separate Master Suite With Sitting Room,Soaker Tub,Walk-in Closet & Additional Shower Room MLS#2078445. Keller Williams Realty Las Vegas. Close to parks, volleyball, tennis & basketball. Refrig, washer & dryer Incl. MLS#2065536. Coldwell Banker Premier. 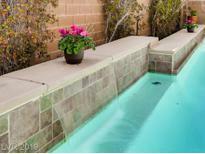 Entertain in your fully landscaped backyard /covered patio play area & dog run MLS#2062065. ZipRealty Residential Brokerag. SAVE, SAVE, SAVE... SID is PAID OFF. $3,500.00 Seller Credit for Flooring MLS#2058747. Property Search Vegas LLC.